Forget dieting, forget surgery and meet Elipse; the small swallowable pill that inflates in your belly. Losing weight has never been easier. 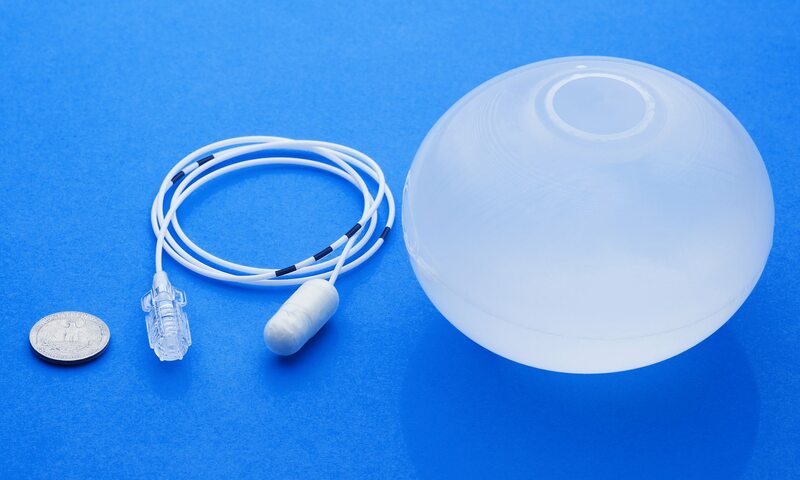 With a long glass of water, swallow the pill-shaped Elipse and you’ll be on your way to a slimmer body. What looks like a small pill attached to a string at first sight, is in fact a tucked in balloon connected to a long thin tube. Once swallowed, doctors can make sure it has reached its destination using ultrasound, and then fill it up with water. This means can help thousands of obese people lose weight without resorting to surgery. Bariatric surgery is a very popular weight loss method, where a person is cut open and has part of their stomach removed to reduce its size. With a smaller stomach, a person would eat less and eventually lose weight. However, patients undergoing such kind of operations need thorough attention, since they must undergo a long period or physical and psychological preparations. After that, anaesthesia can be very dangerous for someone very overweight, and not to forget the expensive cost of a bariatric surgery. The Elipse is designed to remain in a person’s stomach for 16 weeks, after which it bursts and releases both the water and balloon itself during a restroom break. A small study on the balloon presented at the European Congress on Obesity in Porto, Portugal, showed that 38 trial patients had lost an average of 15.2kg during the 16 weeks. The kilograms lost amounted to about a third of their excess weight. Elipse was developed by researchers at the University of Rome and is currently available in several countries around the world at an average price of around QR 3,400.